The 1880 house has great curb appeal, as most of the gardening action happens out front. Swaths of naturalized black-eyed Susans and bee balm sway above sweet woodruff. 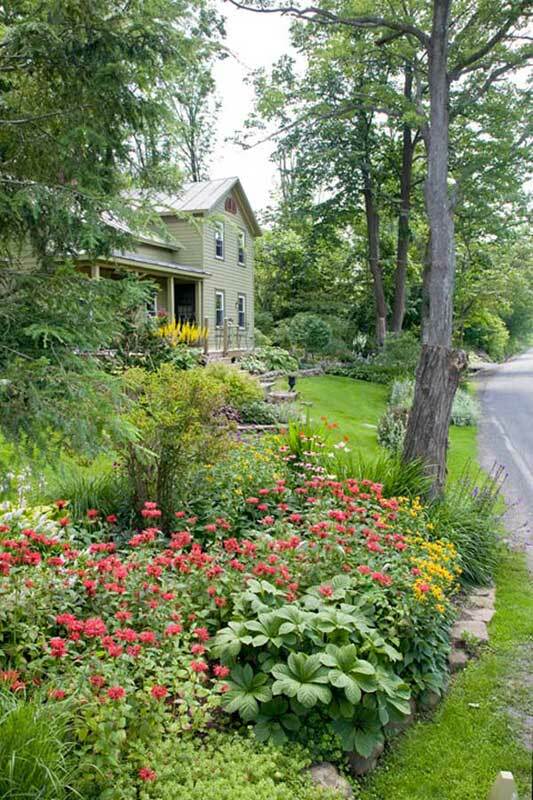 When owners David and Jane Sherwonit bought this property in Gilboa, a hamlet in Schoharie County, New York, they knew they could bring it back. 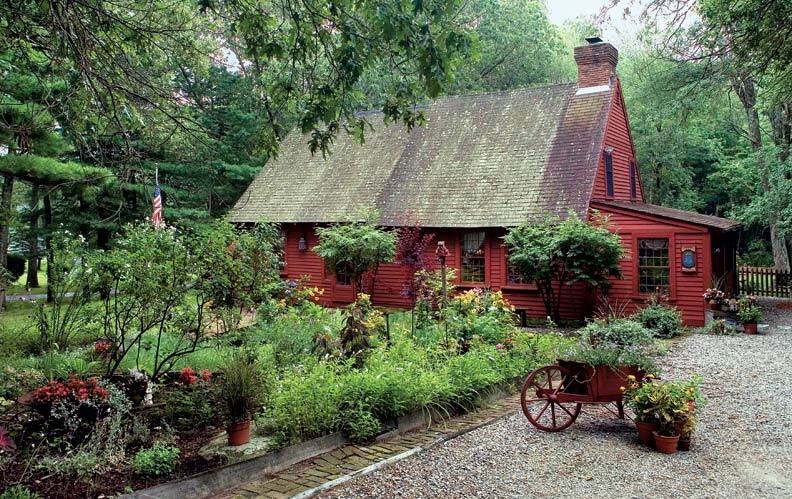 It was a true “handyman’s special,” an old house on a lot overgrown with brush and unmaintained trees. That was 24 years ago. Dave is a carpenter and building contractor; Jane is a landscape foreman. They did all of the restoration and gardening themselves. The half-acre site has areas of both full sun and deep shade. Most of the garden is in front of the house, visible from the street. “Jane is into curb appeal and manicured gardens,” Dave says. 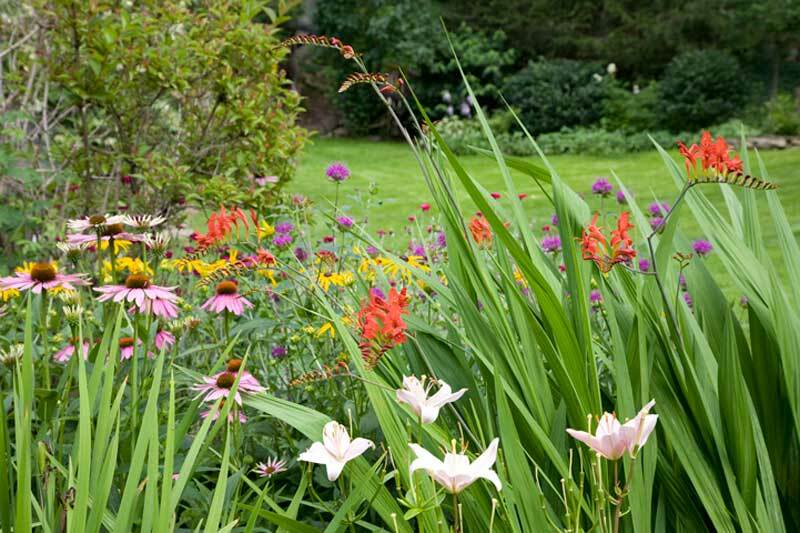 “I’m the gardener more into naturalization and attracting wildlife—like hummingbirds, butterflies, and nesting songbirds.” That combination has produced a fabulous garden enjoyed by every passer-by. 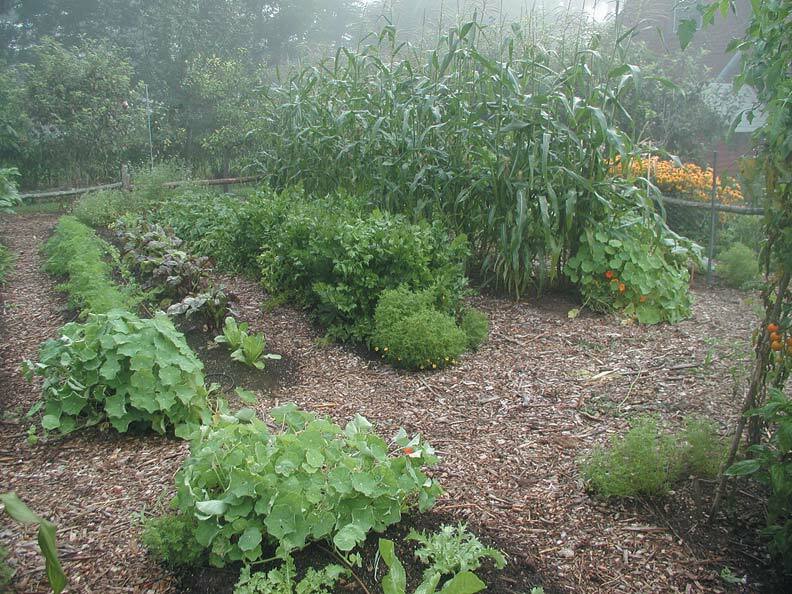 A careful foundation underlies the profusion of flowers, shrubs, grasses, and woodland plants. Walls and steps of local fieldstone mark boundaries and the change in level from the lower garden near the street to the lawn above. Strategically placed beds near the house and in the lawn concentrate plantings for greatest impact and ease of maintenance. The birdhouse hosted a melodious (sometimes annoying) house wren for a couple of years. Broad leaves against spiny plants or flowery filigree, chartreuse leaves against blue-green—such contrast allows the special characteristics of each plant to shine. Manmade objects placed in a garden always draw the eye, whether they are placed at the far point of a vista or positioned for subtle surprise. 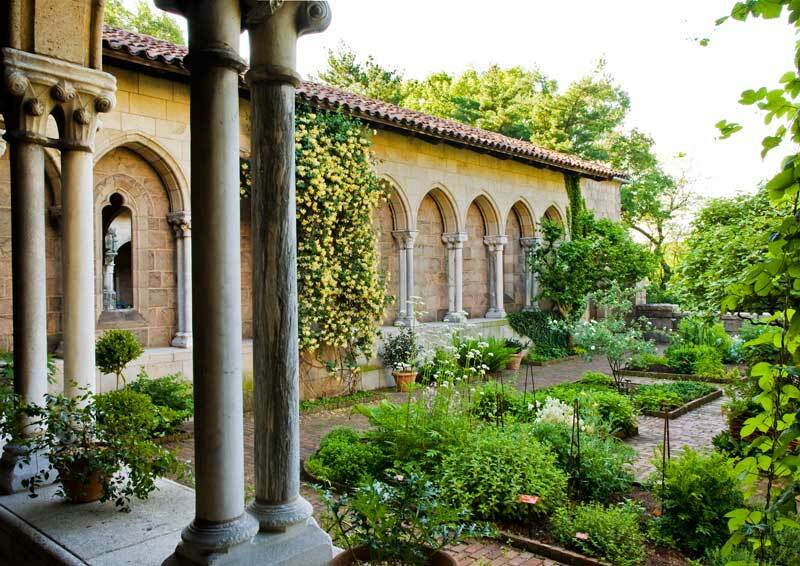 An arbor, fountain, statue, or urn—even a bit of architectural salvage—creates interest amidst all the green. (In this garden, an old stone finial sits atop the rock wall.) 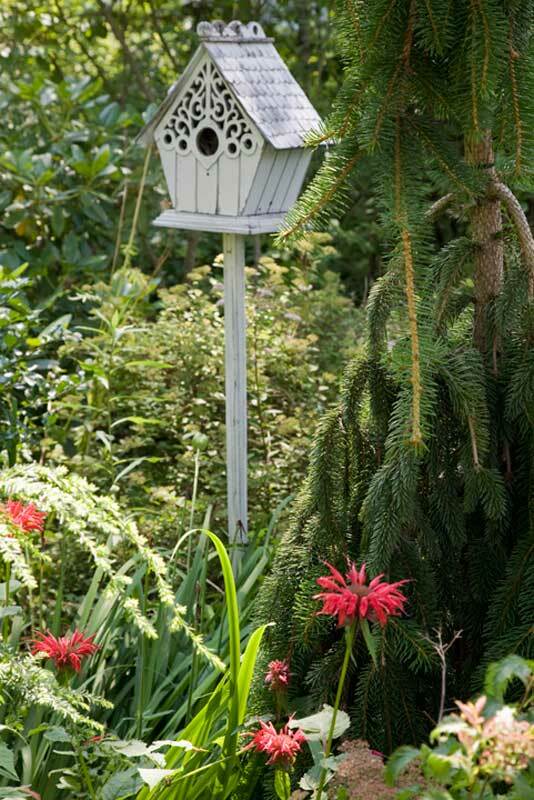 Some objects, like birdhouses and water features, also attract wildlife. For human visitors, hide a rustic chair along a shaded path, or place an iron bench at the far end of a lawn or pergola. Bigger yards benefit from a gazebo, rustic or classical. Using multiples of a single flower appearing in long or large swaths is often more effective than mixing many plants together in one space. 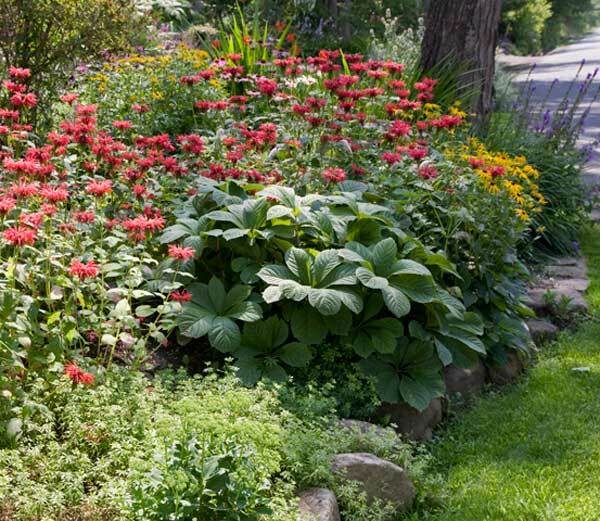 Here we see undulating swaths of bee balm and black-eyed Susans, lending a naturalized look. Cutting flowers out in the sun. Most yards have different micro-zones: an area in full sun, a rock wall that gets morning light, a shady area under a maple. In each, use plants that will thrive. You’ll find you have several gardens all at once. Here we see cutting flowers out in the sun, low succulents dense in a rock garden, and a miniature woodland soft with hostas and astilbes under the trees.